The 2019 U.S. News & World Report college rankings came out this month, and Grand Canyon University has again been asked by a number of people why we choose not to participate in this annual attempt to gauge the effectiveness of institutions in higher education. In short, GCU does not participate in this survey because we believe that it measures things that are not important to the learning outcomes of students. Philosophically, we as a country need to start looking at higher education through a different lens. It has become far too expensive and students are taking on way too much debt. We have been able to transform Grand Canyon University in the last 10 years by keeping our focus on metrics that benefit the academic achievement of our students, their ability to earn good-paying jobs and processes that ensure financial transparency and affordability. The U.S. News & World Report rankings, on the other hand, focus more on a university’s reputation, wealth and prestige as a basis for academic excellence. 10% of the U.S. News rankings (down from 12.5% previously) are based on selectivity of admissions, or how many students a university turns away. This has nothing to do with how well a university educates its students and is often manipulated by universities who aggressively increase the size of their applicant pool so they can turn away a higher percentage of applicants and thus show themselves to be “more selective” and increase their ranking. 20% of the U.S. News rankings (down from 22.5% previously) rely on peer reviews. This is nothing more than a reputational measure or popularity contest. Asking college administrators to judge the merits of other schools about which they know very little is a futile exercise. 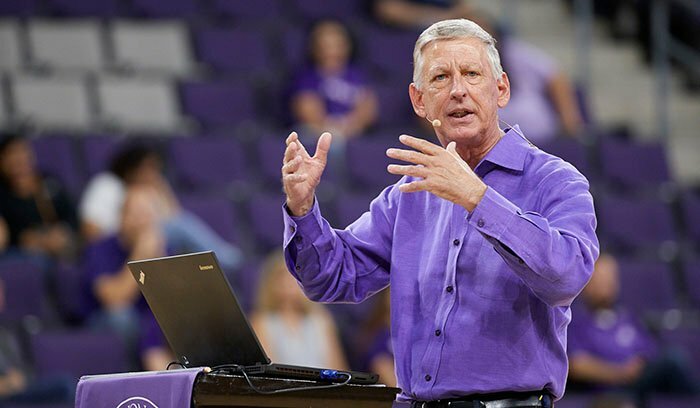 Specific to GCU, because we have burst onto the scene in the last 10 years as a new model in higher education, few administrators know or understand who we are. Faculty salaries account for 7% of the rankings. This is weighted heavily to reward research institutions that pay higher salaries for researchers who do very little or no actual teaching in a classroom. GCU is primarily a teaching university that also does some research. The salaries of our faculty compare favorably to faculty at other universities who actually teach in the classroom, but the U.S. News rankings don’t reflect this. U.S. News rankings use standardized tests of incoming students for 7.75% of its ranking (down from 8.125%). At GCU, we do not require SAT or ACT scores in our admissions and primarily rely on a student’s incoming GPA. Research by the Urban Institute and Education Northwest both indicate that a student’s incoming grade point average is a better indicator of success at the college level than SAT/ACT scores. Because GCU’s curriculum is weighted heavily toward writing and critical thinking skills, we have found the same to be true with our curriculum. The average incoming GPA for GCU students for the past four years has been 3.5. Alumni giving accounts for 5% of the U.S. News rankings. In our financial model, we historically have not even asked alumni for contributions. Instead, we have focused on creating new university-run and student-run enterprises and businesses to generate additional revenue. This revenue helps us to continue to freeze the cost of tuition, which we have done for 10 straight years on our ground campus. Students pay, on average, $8,600 per year in tuition, which is comparable to state universities that receive state tax subsidies and far below other private universities. More telling, students at GCU are incurring less debt (an average of $18,750) than the average at public universities ($25,550) and far below the average at nonprofit universities ($32,300) or for-profit colleges ($39,950), according to data from the Institute for College Access and Success. GCU does participate in other surveys such as niche.com (which relies heavily on student surveys) and the College Learning Assessment (which measures critical thinking and problem-solving skills – traits that employers repeatedly have told us they are looking for in college graduates). GCU’s campus is ranked No. 7 in the country by niche.com, which is a reflection of student satisfaction as well as the resources and culture of the campus. The CLA test is performance-based and looks at hard data that measures how students perform both as college freshmen and seniors (and how much they learn or improve in between) in key areas of critical thinking, analytical reasoning and effective communication. In the most recent administration of the test, GCU seniors scored higher than 86% of other CLA colleges when measuring the amount that students learned between their freshman and senior years. What kind of instruction will a student receive? Will they be taught by actual professors or graduate assistants? What kind of academic support systems are in place to help students? Will their degree lead to a good-paying job? Are they developing critical thinking skills and project-based learning that employers seek? Will they be getting their education in a safe campus environment? Is the university accessible and affordable and do its practices align with the priority to educate all socioeconomic classes of Americans? Does it give back to the community in meaningful ways? Is it transparent in how much a degree will cost? Does it offer financial guidance and options to help students minimize their loan debt? We believe questions such as these measure a student’s experience better than a flawed U.S. News ranking that has no student input and does not put greater emphasis on actual learning outcomes and the amount of debt a student incurs. Insightful and thought provoking feedback. I have been very happy with my experience at GCU and I am looking forward to completing my doctoral degree over the next year. There have been challenging times but the school has more than met my expectations. Hands down the best choice I made was to finish my BS at GCU. I had a job offer a week before graduation. I have had a well paying job since day 1. 2 companies and 3 promotions later I am starting up my MBA at LSU. Company is paying for it and the amount of money I saved finishing at GCU was a life saver. Go Lopes! GCU posting this detailed explanation of its preference towards performance based measures is consistent with the pervasively consistent attitude of service and respect for learners. Experience tells. A US News rating banner over the front door of a high school that hides issues and/or cherrypicks can effectively serve signal to high school kids (not to mention parents) how much a school administration cares for its reputation (via questionably skewed measures) can sit in competition against its care for broader better individual student outcomes. To my relief I don’t see that US News rating banner over my kids high school doors in this state, and I still think it is a good public high school. … GCU nets a lot of mileage staying free from that kind of banner, so thank you GCU. So it may be no news to us. US News ratings posters are a poster child of the message that some ratings are not necessarily “all that.” I’m just glad of this one more little detailed proof of how GCU freely and deliberately aims its resource and efforts (and its students’ efforts) into good things. It comes as no surprise. My worry for my younger kids is if they expect my GCU kid’s mindblowingly positive campus experience is anywhere near normal for all colleges. I applaud your efforts to keep our institution focused on what really matters – quality education. Are there groups you belong to or surveys you participate in that are focused on leadership and faculty accountability and staying the course of mission? President Mueller, I am more thankful than ever that I am attending GCU. Your article is very insightful. I would like to add that GCU is a Faith-Based Institution. The visions and values are seen by the professors, faculty, and administrators that I have come in contact with. While I do think the college rankings can be biased and use metrics that do not look at he holistic aspect of higher education, I do think there is some merit in their use. Why did you not link the CLA rankings or the niche rankings for Grand Canyon? I can’t seem to find any information on these rankings you quoted in the article. Thank you enjoyable and illuminating read. I have been with GCU for a little over a year now. In that time when I have any issue they have worked with me to solve them. During my process of admission, my student adviser called me for a year to keep in touch with me, and gave me the time I needed to enroll. Through that year she became my friend. When I just need to talk about everyday life and problems, she is always there to help me through. We talk about my classes yes, but if it had not been for her I would not be in school following my dream. All of my professors have been great with getting me through difficult assignments. GCU has changed my mind about online schooling well enough that I tell everyone to at least call them and see if they are a good fit for them as well. My degree will be cheaper and I have received a better quality education through GCU than I have through any other college I have attended.